Do you ever get ideas from ideas from ideas? I do. I try to carry a little notebook with me all the time because I get ideas from watching a TV show, or from reading a book, or from seeing a billboard on the side of the road. It never stops. Sometimes I’ll hear an infrequently used word that will spark the most brilliant thought for whatever story I am working on. Like pother or sudorific or besot. Aren’t those just wonderfully delicious words? I can see you furrowing your brow and scrambling for a dictionary about now. 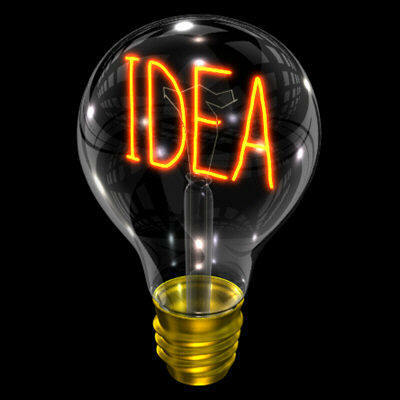 There are those the ideas that come from other ideas which have come from ideas before that. It makes you wonder how far back you have to go to find the original idea, which was probably nothing like the idea you just had. So does that make your idea yours? Being as bombarded by media as we are, it’s a question that begs to be asked. You know, plagiarism and intellectual property and all that. This would indicate that there are no truly brand new ideas. But . . . When it’s one you’ve thought of, dreamed about, planned out – well – then it’s yours. Your very own. And it doesn’t matter if someone down in Zimbabwe or Argentina had the very same idea. Because they won’t do the very same thing with it as you will. Let the ideas keep on coming. Have you ever read “Where Good Ideas Come From” by Steven Johnson? He makes a strong case about the real creation of the so-called “Eureka moments” and mentions the “liquid networks” that creat ideas from other ideas (or even half-ideas). My blog “Red Líquida” (“Liquid Netowrk” in Spanish) is inspired in Johnson’s book and I strongly recommend it.